This small white sap sucking insect is causing leaf damage in Golden and Claret Ash trees; it is rapidly becoming established in temperate areas of South Eastern Australia. 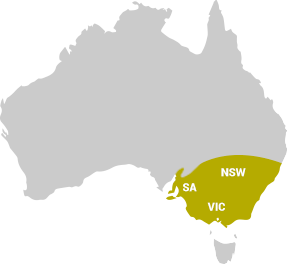 First recorded in Adelaide in the autumn of 1998, by June 1998 it was also present in Wagga Wagga, Dubbo, Griffith, Gundagai and Canberra. It has been present in Melbourne since 2003 and possibly earlier, by 2006 it has also been reported on Golden Ash in Bendigo and Mansfield. 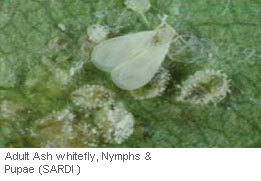 Both common greenhouse whitefly and ash whitefly are very close in appearance and are difficult to distinguish. Both are white insects 1mm to 2mm, winged and mobile to a lesser degree, preferring to remain sedentary on the underside of the host’s leaves. 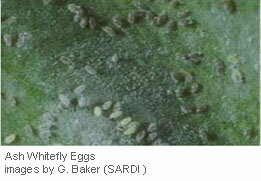 Ash Whitefly and Greenhouse whiteflies have separate hosts; this knowledge is a useful tool in determining species. 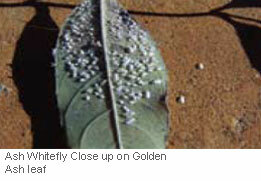 When disturbed whiteflies of both species form dense clouds around the host. The Ash Whitefly is a nuisance in urban areas as it is often inhaled by pedestrians its “honeydew” is often seen covering vehicles and other outdoor amenities. 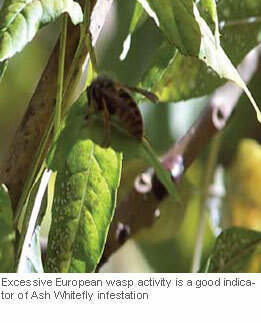 Other indicators are increased ant and European wasp activity as these insects seek honey dew. Ash whitefly reproduces rapidly during the warmer months with up to three generations per season that sometimes overlap. Lifecycle is three phase post egg, nymph, pupae and adult with the nymph stage separated by four instars. The adults deposit their eggs on the underside of the leaf which subsequently hatch into nymphs, during this stage they go through four instars or moult phases. The nymphs eventually change into the pupae stage that is stationary or fixed to a single position, adults eventually emerge completing three lifecycle stages. 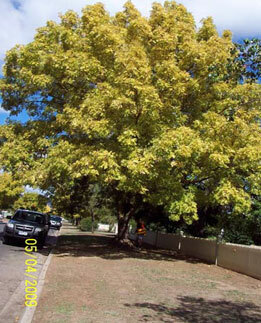 Favoured hosts in spring, summer and autumn are the deciduous ash, pear, apple and pomegranate. In autumn, when these trees loose their leaves swarms of adult whiteflies can be seen moving to their winter hosts. Citrus and other non-deciduous trees (olive and photinia) make up the winter hosts. Development in winter is very slow with little occurring below 10°C but it is this overwintering population that leads to large infestations early in the season. 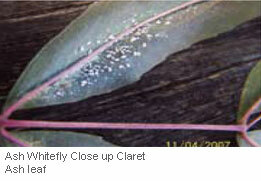 Ash whitefly will only develop on leaves. There is no evidence that it can develop on fruit. Heavy infestations of ash whitefly will cause environmental stress to trees and lead to defoliation, tip wilting. The growth of sooty mould as seen below is a secondary fungal response to Honey Dew secretions. 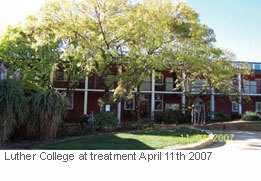 Tree injection using newer third generation neonicotinyls insecticides are most effective. Insecticidal resistance is now occurring in old first generation neonicotinyls such as imidacloprid, or its tree injectable equivalent. 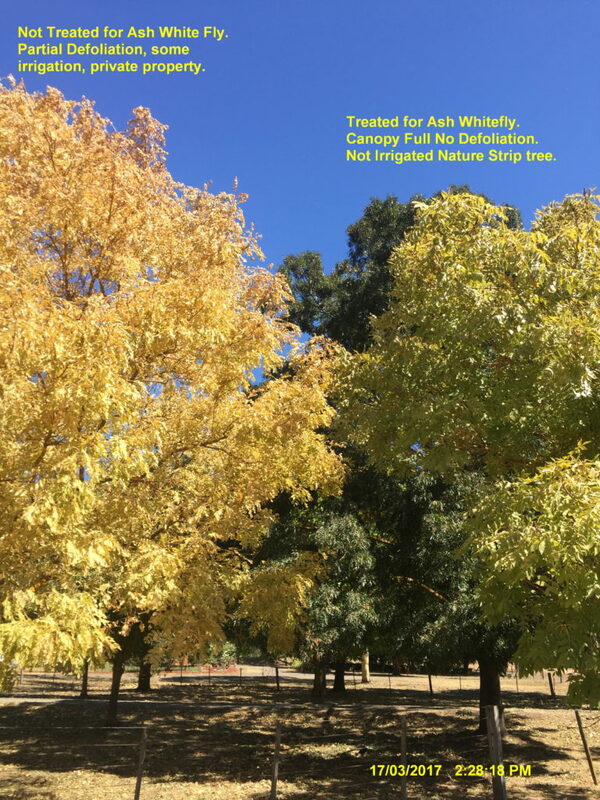 Our treatments offer two or more years of protection with insect drop within thirty six hours post treatment Canopy spraying is another option but is less cost effective than tree injection. Spraying near Schools, Public Housing or Nursing Homes require Prior Notification to residents etc. 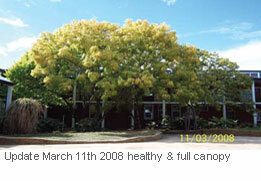 Elmsavers treats both private and municipal trees using only tree injection. Its reliable results and reduced environmental risk are preferred by councils, schools and government authorities.